1, 2 ,3, 4, 5, 6, 7, 8! Shapes are very essential in pre-schoolers life. It helps them to express different types of objects. They can even explain about their needs. Shapes also helps in the comparison and categorisation of different types of objects. Shapes even help the pre-schoolers to learn letters and numbers that are been taught in their life. 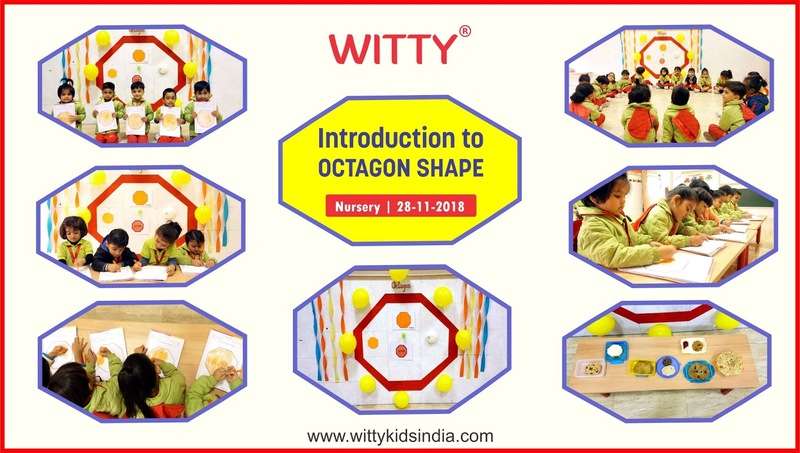 On Wednesday, 28th November, 2018 little Wittians of Nursery class at Witty International School, Udaipur were introduced to a new shape i.e. Octagon. The teachers painted a big octagon shape on the wall. Children also brought some objects related to octagon shape and discussed along with their teachers and peers. They also enjoyed the story of Octagon shape narrated by the teachers. Children had fun learning the Octagon shape by colouring it in their worksheet and by also having same shaped snacks in their tiffins. 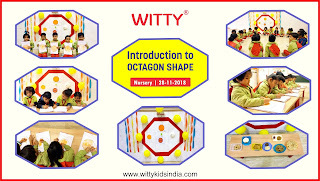 That’s the way they enjoyed learning about Octagon shape.